This pair of shoes features canvas upper and rubber sole. The special part is its canvas upper extends and covers your ankles. Its top is pure white and its bottom and lining is mostly blue. This is the first or second time of me visiting my local Ross store and I have to say I am very impressed by their products' quality and low prices. 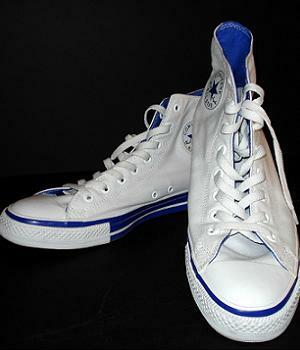 I was badly in need of white casual shoes, and this pair of Converse All Star Hi Top sneakers fill the need. At first I wasn't used to the "hi top" style but on second thought the hi top part wouldn't be visible when I am wearing jeans anyway. Plus it's just a different style and you have to try new styles every now and then. So I bought it. 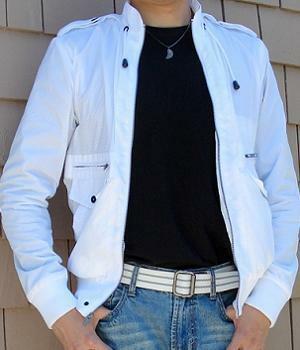 The Converse white hi top sneakers are GREAT in any casual occasion. 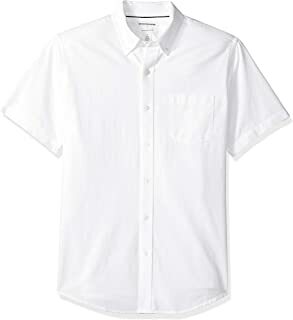 I've always wanted a pair of white shoes to go with my white T-shirts or shirts and I finally found an ideal pair of such shoes. White is a neutral color and naturally goes well with both warm and cold colors, so I hardly have any trouble matching my tops and bottoms with the shoes. I've worn them to movies, to friends' gatherings, to parties, and grocery shopping. They are absolutely versatile! One thing to note is that for some reason Converse All Star shoes have a large margin for size. All of size 11, 11.5, and 12 fit. You may want to keep it in mind the next time you shop for a pair of Converse shoes.